Another huge blast from the past title is getting all cleaned up and read for the current generation of systems out there and this one would be L.A. Noire. Yes, Rockstar Games is bring it back after only six year and bringing to the PS4, Xbox One, Switch, and HTC Vive. That was not a misreading there for you; L.A. Noire will be hitting the Switch and Vive platforms so you can experience the crime drama all over again in a few new ways. One way being the whole new VR experience that will keep all of us on our toes. Not only all of that, but you will not have to wait too long as all of these new versions will be landing on November 14th this year. Happy days indeed. We will start off with the bigger shock of them all and that is L.A. Noire for the HTC Vive. It sounds amazing at first, but loses a little bit as it will only be seven select cases from the full game that have been remastered and designed for use with the HTC Vive. It may not be the full game, but it does offer up a bit of a difference for those who do not want to just play the whole game again with better graphics and such. L.A. Noire: The VR Case Files, as it is called, will also give us all another excuse to dive into the new and budding technology while we hunt down the criminal casing all of the hell in L.A. There is no explanation on how all of these will be linked as in the full version of the title, but I have faith it will not just be seven disjointed cases with no payoff in the end. 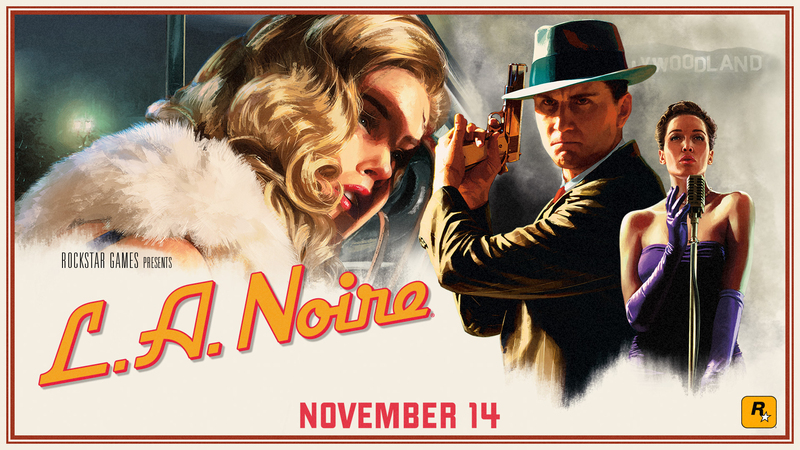 The other three versions of L.A. Noire will be mostly as to be assumed for remasters though. The PS4, Xbox One, and Switch versions will all be improved for the 1080p native visuals that the consoles can pump out. The PS4 and Switch versions will also have uses for the special controls and functionality there so expect there to be touch-pad and motion controls mixed into some of the cases. For those who are jumping in with the PS4 Pro and Xbox One X though, L.A. Noire will now be at a 4K native resolution with all the fancy updated that these newer systems can now handle. Like I said, pretty much the standard when it comes to remasters and where we are with the hardware to run it all. Are you excited to see L.A. Noire coming back into the light or was it good enough to stay where it was and have Rockstar Games just focus on new IPs? Will all of these upgrades make you want to play it all again and "on the go" with the Switch or will it be more like watching a movie with a twist ending where it is only fun the first time to solve the crime? What do you think about the VR support that we will be getting and do you think this could lead to future titles from them getting the same treatment? Let everyone know what you are thinking down in the comments and then discuss. We are still waiting on more for these versions of L.A. Noire and when we get the information, we will bring it to you here.